A lot of the Business/Success/Growth/Goal posts here on Five Sixteenths tend to reflect the emotional roller coaster I feel I'm on sometimes on my route to successful self-employment. Sometimes things are going great, sometimes there's a struggle, but a lot of times the posts are there to motivate me & get all of my thoughts out to move forward. As we are moving closer & closer to our closing date on the house and because I've seen a little flurry of sales both in the Five Sixteenths Shop & the 516VINTAGE shop (hooray! ), I am thinking more & more about motivation. 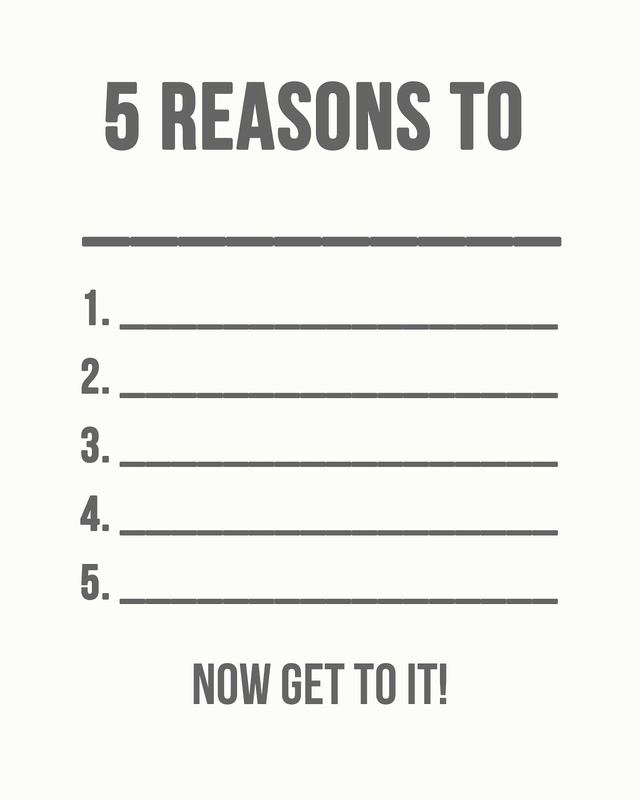 Keeping momentum requires active reflection of the reasons you're doing it the first place. As an avid list maker, keeping my motivation buried in a notebook has been doing it so far but now that I'll have a place (our new house!) to focus & work, I think I need to post my motivation so I'll see it everyday! And guess what? Here is a blank one for you! 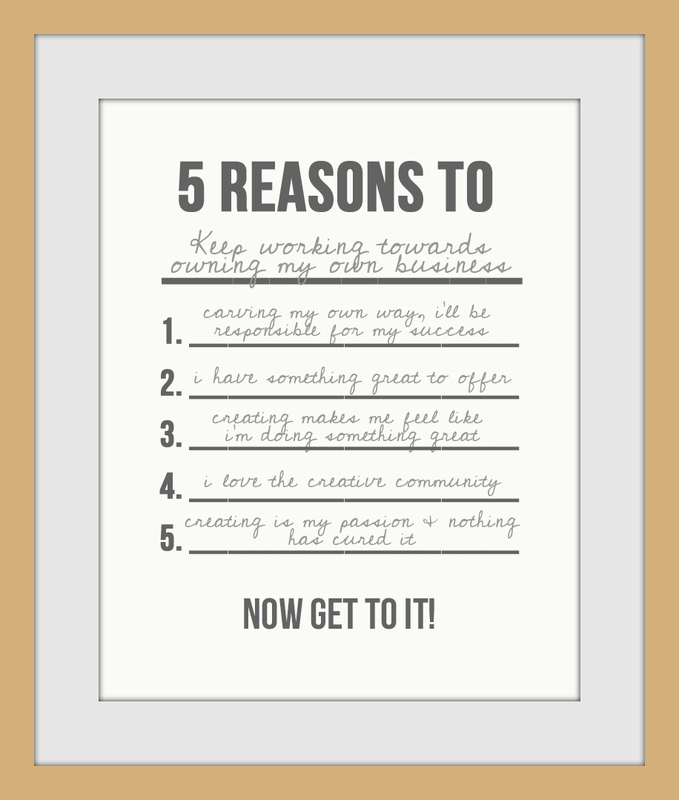 Print it out & fill it in using your own hand writing, before you print it, find a fun handwritten font & add it to the image, OR print it out, frame it, & use a dry erase marker to change out your motivation when you need to! So many options! So go ahead, get motivated! This is great for any sort of motivation you may need: Starting your own business, getting to the grocery store, reaching a goal, etc. I may print out a few of these to hang in various rooms of the house! I can come up with 5 good reasons to do all of those things!